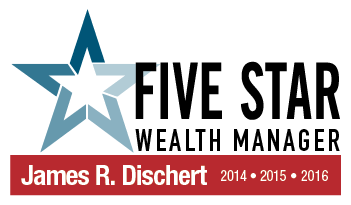 Since 1995, Jim Dischert has specialized in assisting business owners, affluent families, and individuals in addressing the long-term financial and retirement planning issues they face. In 2006, he founded Three Sixty Wealth Management determined to provide a superior level of commitment, dedication and service to his clients. The advice he provides is focused on a philosophy of sound and conservative principles that utilize a wide variety of financial products and services with a focus on cost efficient portfolios, asset distribution, and wealth preservation. Jim is an Investment Advisor Representative holding the appropriate registration with the Securities and Exchange Commission (SEC). He is a fully licensed Insurance Producer in the state of Illinois and holds his Life/Health and Property/Casualty licenses. 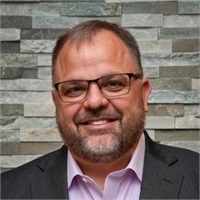 Jim has also attained his Registered Financial Consultant (RFC) designation and is currently finishing his Chartered Financial Consultant (ChFC) and Chartered Life Underwriter (CLU) designations from the American College. For 3 consecutive years, Jim has been named a Five Star Wealth Manager Award Winner* in 2014, 2015, and 2016 and was highlighted as a featured Financial Leader in Chicago by Forbes Magazine in 2013. In addition to spending quality time with his family, Jim enjoys a competitive round of golf and loves coaching in the local JFL program. Like most of you, Jim has a very active home life. He and his wife Susan have three busy children: Kenna, Tyler, and Benjamin. Their family is active in their church and volunteer for several local charities and schools. Investment advisory services offered through Capital Asset Advisory Services, LLC, a Registered Investment Advisor. * The Five Star Wealth Manager award, administered by Crescendo Business Services, LLC (dba Five Star Professional), is based on 10 objective criteria: 1. Credentialed as a Registered Investment Advisor or a Registered Investment Advisor representative; 2. Active as a credentialed professional in the financial services industry for a minimum of 5 years; 3. Favorable regulatory and complaint history review (As defined by Five Star Professional, the wealth manager has not: A. Been subject to a regulatory action that resulted in a license being suspended or revoked, or payment of a fine; B. Had more than a total of three customer complaints filed against them [settled or pending] with any regulatory authority or Five Star Professional's consumer complaint process. Unfavorable feedback may have been discovered through a check of complaints registered with a regulatory authority or complaints registered through Five Star Professional's consumer complaint process; C. Individually contributed to a financial settlement of a customer complaint filed with a regulatory authority; D. Filed for personal bankruptcy; E. Been convicted of a felony); 4. Fulfilled their firm review based on internal standards; 5. Accepting new clients; 6. One-year client retention rate; 7. Five-year client retention rate; 8. Non-institutional discretionary and/or non-discretionary client assets administered; 9. Number of client households served; 10. Education and professional designations. Wealth managers do not pay a fee to be considered or awarded. Once awarded, wealth managers may purchase additional profile ad space or promotional products. The award methodology does not evaluate the quality of services provided and is not indicative of the winner's future performance. 8,161 Chicago wealth managers were considered for the award; 744 (10 percent of candidates) were named 2014 Five Star Wealth Mangers.